£1,829 per person for 15 nights (£1,979) for an inside cabin. £2,569 per person for 15 nights (£2,969) for an outside cabin. £3,260 per person for 15 nights (£3,760) for a superior cabin. £4,147 per person for 15 nights (£5,047) for a suite. Fares are per person and are based on two people sharing the lowest available cabin in the category shown. Savings depends on your chosen grade of cabin. Note: Discount applied during check out. Experience the magical Canary Islands combined with exotic North Africa, from the comfort of our beautiful ship, Saga Sapphire on this all-inclusive cruise. experiencing an overland expedition from Agadir to the hustle and bustle of the vibrant city of Marrakech. Kick start a happier, healthier way of life on this cruise to Morocco, Madeira, the Canary Islands and Portugal. Our Explore Ashore experts give you the opportunity to exercise both your body and mind in all ports in whatever way suits you. In Funchal, explore the colourful markets and gardens that joyfully spill onto steep colonial cobbled streets. Experience the diverse landscapes of the Canaries where well-trodden walking and bike routes take you from primordial forests and barren lava fields to beaches of black volcanic sands. 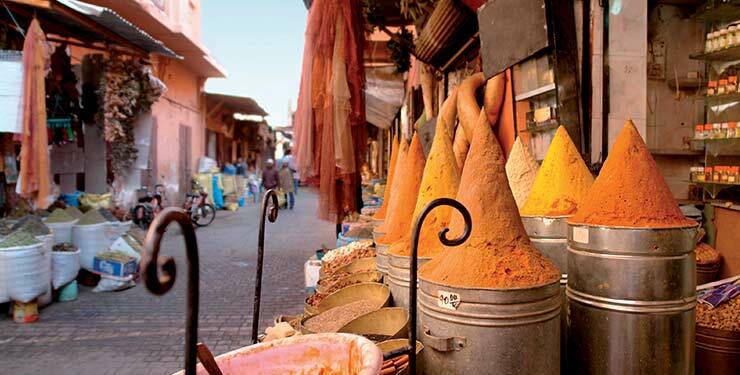 Morocco is your gateway to exotic North Africa, where religions and cultures collide in a gregarious riot. Discover it by foot, horse-drawn carriage or on a thrilling 4x4 tour, comfortable in the knowledge that there’s a cool cocktail waiting for you at Rick’s Café in Casablanca. November 29-30: Santa Cruz, La Palma. December 1: Santa Cruz, Tenerife. To book call Saga on 0800 50 50 30. 2) Offer is only applicable to The Volcanic Isles. 3) All prices are £s per person. 4) Prices include savings as advertised, are subject to availability and may change. 5) Current prices will be confirmed at the time of booking. 6) A reduction of £66 applies if you do not need the optional travel insurance and additional cancellation rights. 7) For single cabin fares (subject to availability), please visit saga.co.uk/cruises or call for further details. 8) Includes door to door travel service, return chauffeur service within 250 miles of the departure port, standard class rail travel from your local station, or complimentary parking at the departure port if you'd prefer to drive yourself. 9) Offers applies to new bookings only. 10) Cannot be used in conjunction with any other offer. 11) To book, please call Saga Holidays on 0800 50 50 30 or follow the 'claim now' button to book your holiday. 12) Discount applied during check out. 13) Saga reserves the right to amend or withdraw any offers without prior notice.